Many residential roof repair systems boast that they are a DIY system that you can do yourself in 30 minutes. Sadly, these claims usually aren’t true. Most “DIY” residential roof repair techniques require years of practice and training, expensive tools and equipment, and a week off from work dedicated solely to working on your roof. None of the above is true with silicone roof coatings. Let’s look at just how easy it is to repair your roof with a silicone roof coating. If you’ve got a paint roller, you can install silicone coating. Instead of needing a heat-welder, a special ladder, chicken feet, etc. to install this system, you can use a simple paint roller, roller cover, and an extender. That’s it! You don’t need anything else, especially not expensive equipment. Take the bucket of material up the roof with you and start rolling. You’ll be ready to start working in 15 minutes. 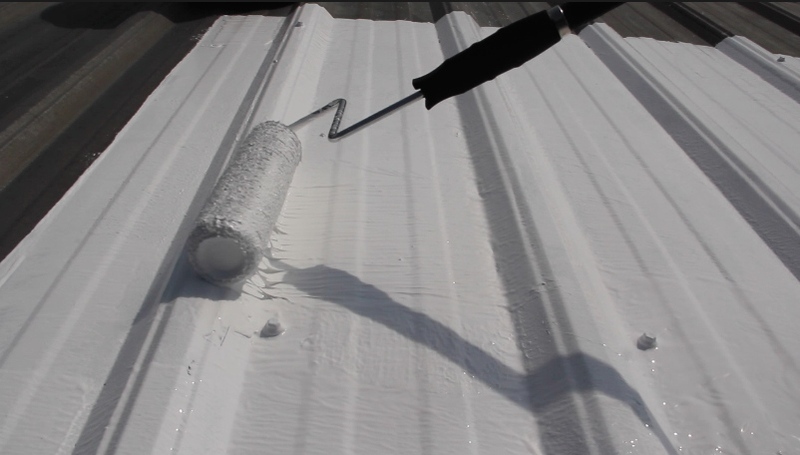 While there is a technique to applying silicone coatings, and there is a right and wrong way to repair your residential roof with coatings, but it’s easy to find the right way to do it. You can perform some simple math to determine how much material you need per 100 square feet, then simply roll the material out like you would paint on a wall in your home. Check the material thickness and make sure it’s thick enough, and you’re done. Silicone roof coatings can be installed in less than a couple hours in many cases. Depending on the size of the roof, the job could be completed even more quickly than that. It doesn’t take several days to install the system, it takes less than one. Silicone roof coatings are a truly DIY system that is easy to install, doesn’t require special equipment or training, and can be done quickly. Give us a call today to learn why silicone roof coatings can be a great system for your residential roof repairs.